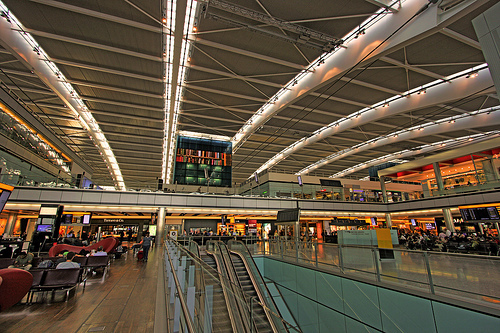 Heathrow Airport can be measured by its number of terminals (five), its annual passengers that use the services (more than 70 million), impressive investments (almost £4 billion for Heathrow Terminal 5) and many other outstanding characteristics. However, we should never forget to mention the great number of London Heathrow Taxi transfer options that can basically take you everywhere in London. This is a very important fact, especially for travellers that do not know the area and need to get to a certain hotel or for business men that have a tight schedule and have to be at a business meeting and centre as soon as possible. Another important perspective is that Heathrow Taxi means of transport offer you the possibility to travel solo or in a larger group, with only hand luggage or several medium suitcases, snowboard, skis and other big items, all in a very comfortable, clean and sure transfer. Moreover, a London Heathrow Taxi can provide a professional driver that is going to wait for you at a certain meeting point, holding a name board with the lead passenger’s name written on it. He also needs to track your flight, so your journey will become stress-free. Although trains and buses are running on a basic schedule, there are certain restrictions during the night, on weekends and especially on bank holidays. Well, London Heathrow Taxi transfers are available 24/7, every day of the year, solely to provide you a professional and accessible means of airport transfer. Of course, landing on Heathrow does not necessarily mean that you have to book a hotel that is situated in Central London, especially if you do not have a great budget. We too recommend you to invest your money in local attractions and less in a hotel. Thus, you can choose one that is located near Heathrow area. The prices range from expensive 5 starts hotels to more affordable ones and are at a nearby distance. Before taking a Heathrow Taxi and heading towards those central British symbols, you might want to also spend a few hours or days and visit Heathrowâs Airport surroundings. There are several comedy clubs and theatres that can offer you great entertainment and beautiful memories. For the adventurous type of travellers, try Thorpe Park and its terrifying roller coasters. Shops are all around you, so do not forget to buy a little souvenir for the loved ones that did not manage to join you on this wonderful British adventure. 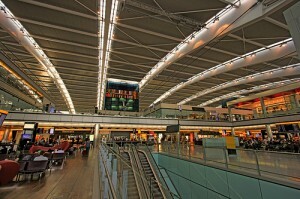 The restaurants in Heathrow area are not many, mainly because most of them are situated inside the terminals. In case you do not want to eat your lunches and dinners at your hotel, take a Heathrow Taxi and head towards a more central place. London is filled with delicious culinary restaurants or pubs that offer you a wide range of traditional or international dishes. In order to also have a taste of the amazing night life of the British inhabitants, make sure to spend your evening in a renown bar. There are a few near Heathrow area: Tea Box (also great for trying a 5 o’clock afternoon tea), Vinoteca Chiswick (for a great wine variety) and Green Room (that also offers a delicious menu). As you can see, Heathrow Airport is full of wonderful surprises. You just have to take the time to discover them. And, of course, a Heathrow Taxi..